It was October 8, 2014 when the Sharks opened up their season against the Los Angeles Kings. Just under 17 months ago. Among the starters were Jason Demers, Mirco Mueller, Mike Brown, Tye McGinn, Andrew Desjardins, Scott Hannan, Adam Burish and Antti Niemi. Healthy scratches included John Scott, Matt Irwin and Eriah Hayes. Backup goaltender Alex Stalock was dressed but did not play that night. Raffi Torres was on injured reserve. The coach was Todd McLellan. Out of these thirteen players that were part of the Sharks opening day roster last year (or on IR), only one, defenseman Mirco Mueller, remains in the organization. He has spent all but a handful of games in the AHL this season. The coach is also new. It is Peter DeBoer, who brought in his own staff. From the group of twenty-three (combined players and coaches) on the bench for the Sharks opener last season, you could only find ten of them on the Sharks bench for their Feb 29 game against Montreal. Of the ten players who appeared in the Sharks infamously wonderfully holiday sweater video in 2014, only three are on the Sharks squad now (Chris Tierney, Matt Nieto and Tomas Hertl). 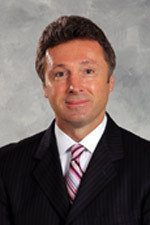 Sharks general manager Doug Wilson has been a busy guy. The Sharks have gotten an extreme makeover. The new additions included a mature rookie from Europe in each of the past two seasons. Last season, it was Melker Karlsson. 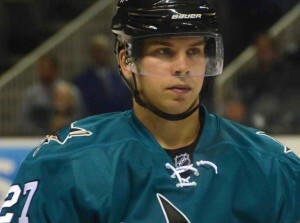 This season, it is Joonas Donskoi. Both exceeded expectations. 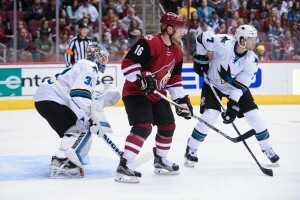 Doug Wilson signed two veteran free agents in the offseason, forward Joel Ward and defenseman Paul Martin. He traded for goalie Martin Jones in the offseason and for goalie James Reimer this past weekend. Wilson traded for defenseman Brenden Dillon roughly twenty games into last season. Last week he traded for defenseman Roman Polak and forward Nick Spaling. In addition, early this season, he signed free agent Dainius Zubrus. In acquiring these talents, Wilson parted with a first round draft pick, a pair of second round draft picks, a third round pick and a fourth round pick. Talent comes at a price. This team is about winning now, not five years from now. The verdict on Wilson’s work will be rendered in the playoffs. Still, it is easy to look at this team and realize it is substantially more talented than what the Sharks had in October 2014. It may seem early to reach some conclusions on the recent acquisitions from Toronto: Polak, Spaling and Reimer. It isn’t. The Sharks gave up three players that were not in the team’s plans for this season (or any other), along with three future drafts picks. They are already upgrades simply because they are replacing assets the Sharks had no intention of using. It is certainly not too soon to have a good handle on the remainder of the players brought to the Sharks. In varying degrees, each one has been a success. Perhaps the only downgrade is Brenden Dillon, who is not better than the player he was traded for, Jason Demers. Even here, a vastly improved Dillon has limited the downside of that deal. The rest of the new additions, however, are clearly better players than the ones they replaced. Karlsson and Donskoi took jobs because they earned them. On the blue line, Mueller, Demers and Hannan have been upgraded to Martin, Dillon and Polak. It is not close. Zubrus has been a pleasant surprise. The goalie position, with Jones and Reimer, is better both at starter and backup. Whether this roster makeover provides the Sharks what it takes to go far in the postseason is the only meaningful question. In about a month, the Sharks will officially clinch a playoff berth by locking in a finish among the top three seeds in the Pacific Division. How life proceeds for the Sharks after that point will determine whether Wilson’s efforts have paid off. The Sharks primary competitors have also added key pieces. Did Wilson do enough to get the Sharks deep into the postseason or will this be yet another year where a talented San Jose team falls short in the playoffs? We will start getting answers in about six weeks. With Raffi Torres and Ben Smith no longer part of the Sharks, Dainius Zubrus is the only player on the San Jose roster to have played in a Stanley Cup finals. Martin Jones has his name on the Stanley Cup from his days with the Kings, but he did not play in the finals. Brenden Dillon leads the league in two areas on the penalty kill. He is plus-2 on the PK, one of just two players who is plus on the PK (minimum 25 minutes of PK ice time). Alex Killorn of Tampa Bay is the other; he plus-1 on the PK. Dillon also leads the league in PK ice time without giving up a goal, at over 41 minutes. Second, at just over 30 minutes of scoreless PK, is Zubrus.